PepsiCo CEO Indra Nooyi caused a stir online after saying that women don't like to "crunch too loudly" or lick their fingers like men do when eating Doritos. In an interview with Freakonomics, Nooyi was explaining how the company was looking into how it can cater to female customers based on snacking preferences by gender, Today.com reported. The comments were widely panned on social media, with many thinking that Frito-Lay was developing a "Doritos for Her" snack. Andy Cohen pigs out on Doritos and SpaghettiOs while he chats with Jimmy about his little-known NRA certifications, rifle skills and celebrating eight years of "Watch What Happens Live." 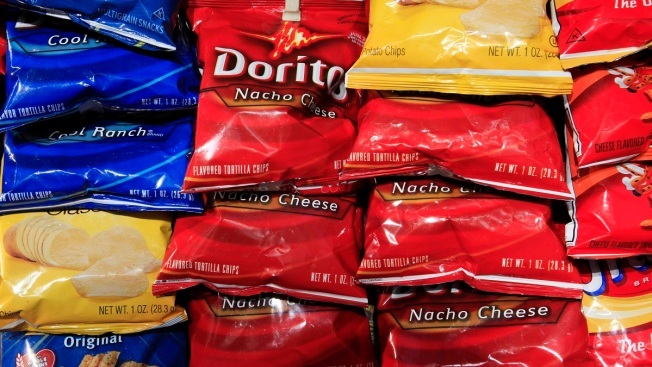 Doritos put the speculation to rest Monday night by tweeting, "We already have Doritos for women — they’re called Doritos, and they’re loved by millions."